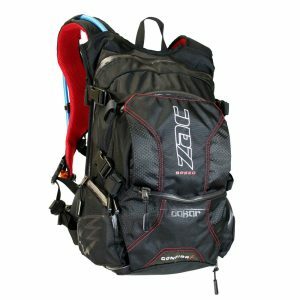 The Recon S-3 Cross Country Backpack has been designed for intermediate distance rides and is a mid sized pack. The Recon has the flexibility of free load storage space on the outside with increased internal storage above the smaller Sprint R-3. 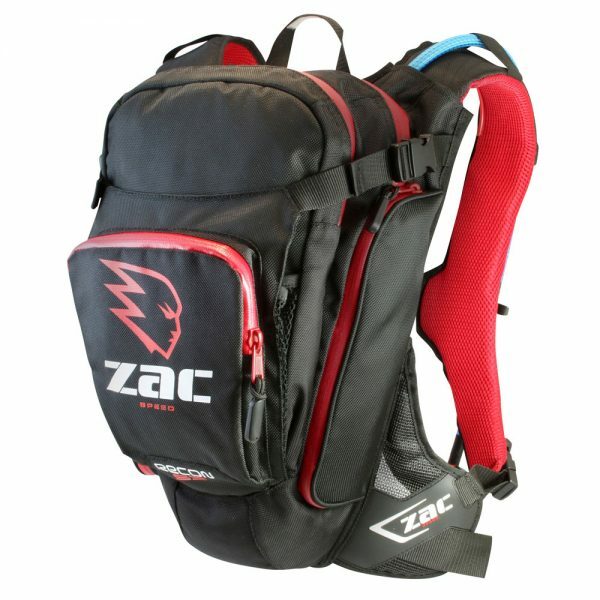 This pack also has a large outer pocket that can hold the Zac Speed tool roll (not supplied) when not used with the optional Matrix Tool Pack. Like the Sprint, the Recon pack is made from durable 1680D Poly fabric to ensure it meets the demands of the tough off-road environment with high quality YBS zips. Three compartment pockets, one internal soft lined goggle pocket and two external technical pockets the Recon has ample storage options for trail rides. The Recon comes standard with high quality Source 3 Lt/100oz bladder system with a quick connect hose system. 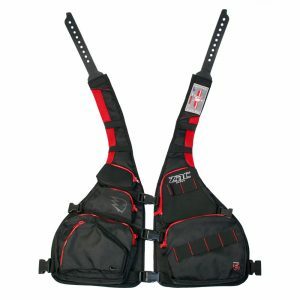 The Recon pack has been designed with a wide vented TPR waist belt system to keep the pack stabilized whilst offering optimal comfort and ventilation. 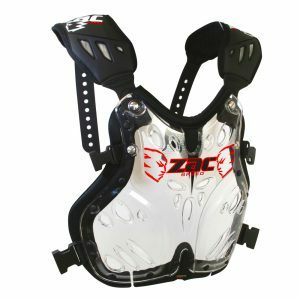 The pack is also equipped with the Zac Speed CONFIGR8 pack system allowing you to customize your pack with other CONFIGR8 elements for superior flexibility and adaptability. 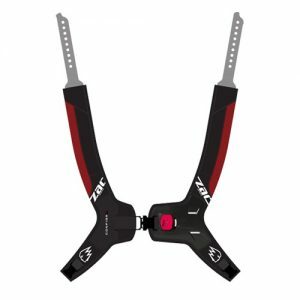 – Weight 2.75 lbs (Pack only).